Has another month really flown by? 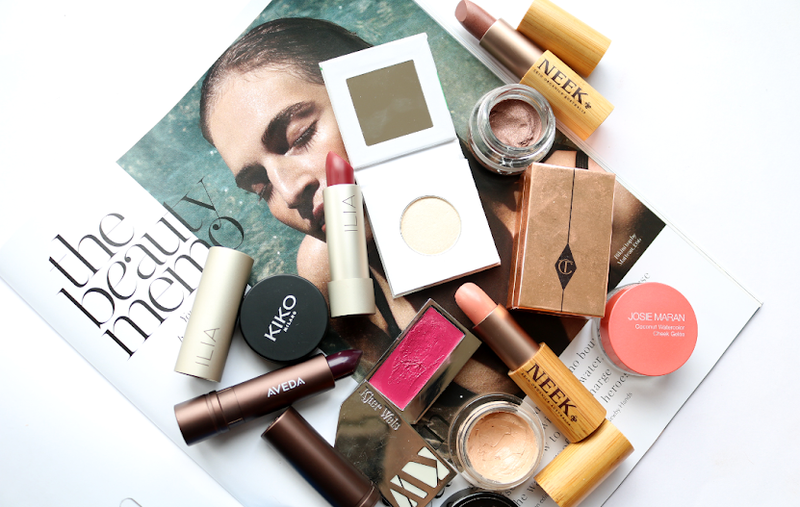 These are my August Beauty Favourites, which are also a good representation of what I've been loving for most of the Summer too. 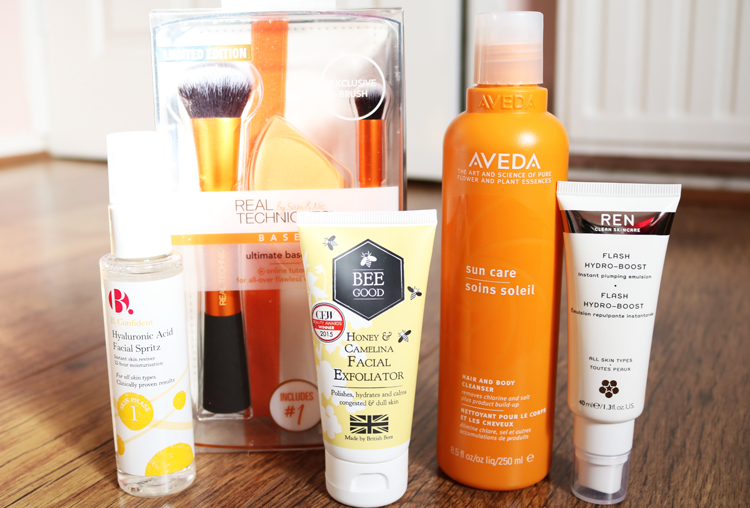 You guys all know how much I love the B. skincare range, so I was thrilled to see them bring out this spritz (and at such an affordable price too!). Containing the wonder ingredient that is Hyaluronic Acid, this clever bottle of goodness can be popped into your handbag for on-the-go hydration (or in other words, whenever you're feeling like you're about to die from the heat, this will help to refresh you!). 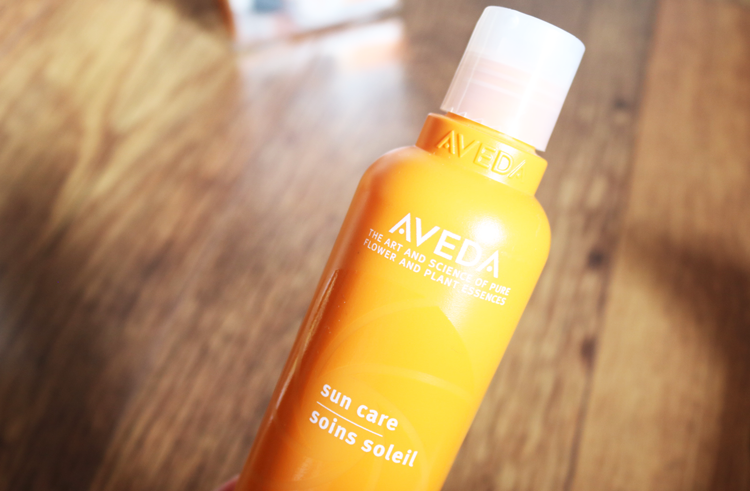 Happily fits into any skincare routine if you prefer to keep it for home use, and is suitable for all skin types. Wonderful stuff! If you like traditional scrubby exfoliators but want them to be gentle, this one from Bee Good is a must-try. Packed full of natural ingredients such as British Wildflower Honey, Vitamin E, Wheatgerm Oil, Camelina, Crambe Oil, it uses finely milled Lavender Flowers to gently buff away dead skin cells, leaving my complexion feeling softer and looking brighter. Smells really fresh and is such a pleasure to use first thing in the morning to wake up my skin. This set from Real Techniques has been my go-to for all things base related. 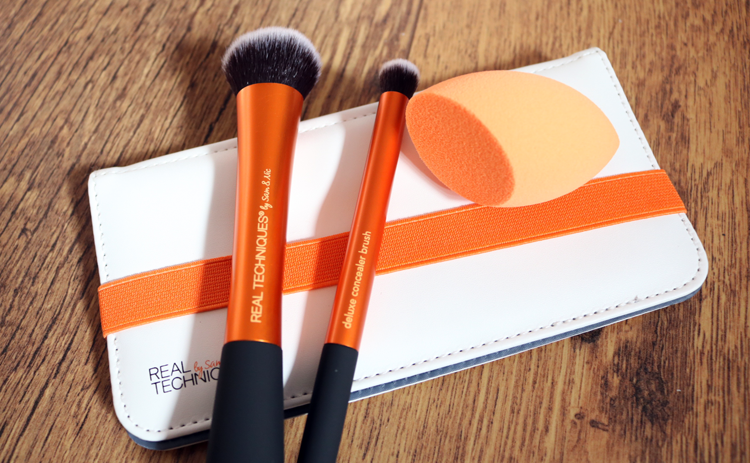 It comprises of a full-size Expert Face Brush, Deluxe Concealer Brush and their amazing Miracle Complexion Sponge. As the name suggests, the Expert Face Brush works beautifully with any face base product (equally well the liquid and mineral powder foundations for example), and the Deluxe Concealer Brush is perfect for buffing in concealer underneath the eyes to get rid of dark circles. 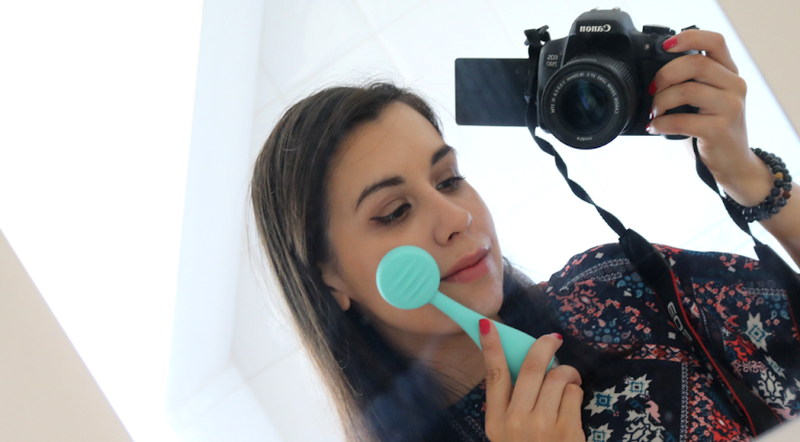 I use the sponge with nearly all of my liquid bases and particularly love it with full coverage foundations because it stops them from looking cakey or mask-like. The set also contains a mirrored compact case that's really handy for taking the brushes with you when you're travelling! 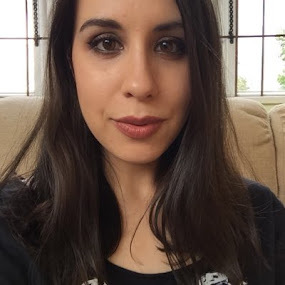 Dehydration is one of the most common skin complaints and something that I struggle with alongside having combination skin (for me, it's most apparent on my cheeks and makes the pores look enormous - not attractive!). 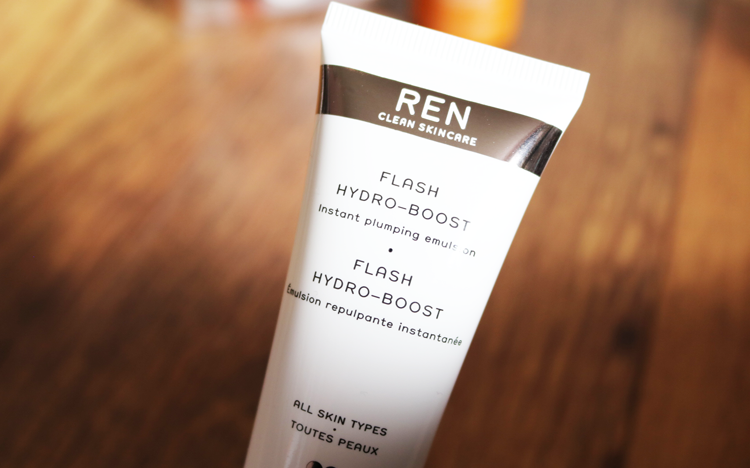 This new launch from REN is a fantastic skincare saviour as it helps to plump, smooth and hydrate the skin with an cocktail of Hyaluronic Acid, Peptides, Xylitol and Ceramide. Texture wise, it reminds of a thick cream but then you add a few drops of water to it which transforms it into something between a serum, a primer and a cleansing milk. It sinks into the skin quickly after a little massage, and my face feels instantly moisturised and plumped up. I tend to use it after cleansing and before my moisturiser in the morning as I feel it protects my face better against the elements, and stops it from becoming tight or dry later in the day. 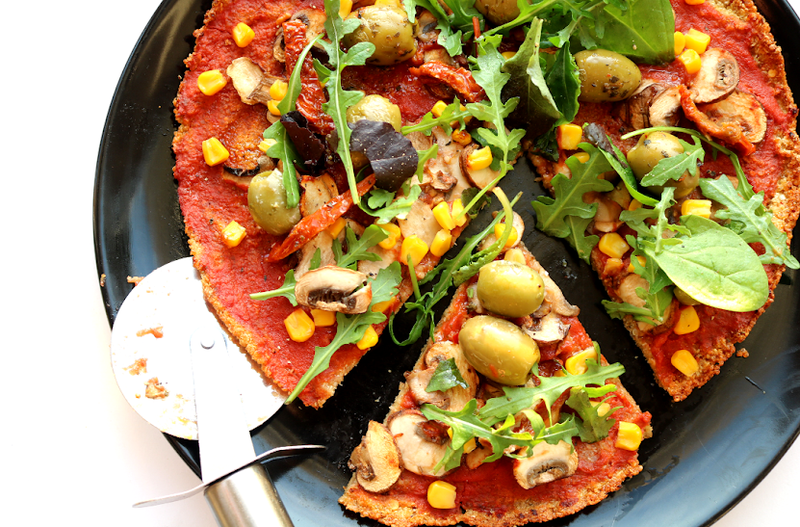 My last favourite is one I've been testing out in anticipation of my holiday later this month. This two-in-one cleanser gently removes chlorine, salt and product residue without stripping the skin or hair, and instead leaves them feeling soft and moisturised afterwards. I've tried it out after swimming, and it's done a great job at getting rid of everything out of my hair, and it also removes that horribly strong smell of chlorine that lingers around! 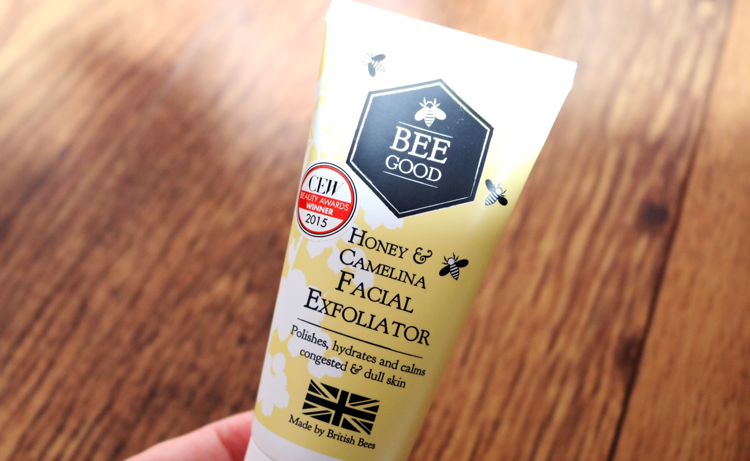 Absolutely adore the Bee Good exfoliator, it's just so good! 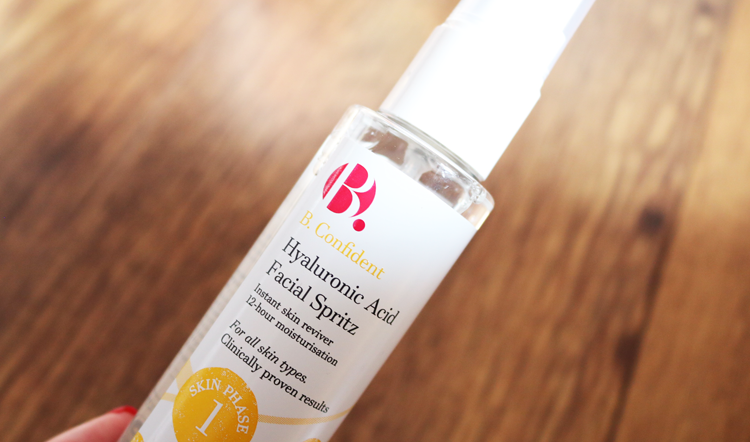 Love the sound of the Hyaluronic Acid Spritz! Keep meaning to check out more from B.!